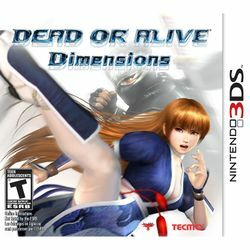 Dead or Alive: Dimensions is a fighting game for the Nintendo 3DS and the first on a Nintendo system. It features 26 playable characters with 6 of them being unlockable. Chronicle mode compiles the stories from Dead of Alive 1 to 4. Free downloadable costumes and throwdown challenges were available via SpotPass. Samus and Ridley from Metroid: Other M make a cameo appearance in the Geothermal Power Plant stage. This page was last edited on 17 February 2012, at 20:16.